Product prices and availability are accurate as of 2019-04-16 07:43:04 EDT and are subject to change. Any price and availability information displayed on http://www.amazon.com/ at the time of purchase will apply to the purchase of this product. 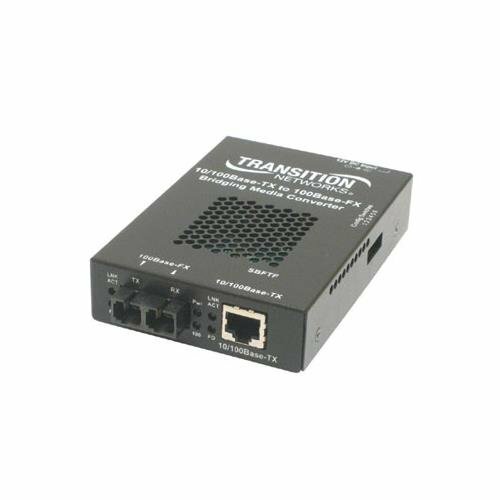 10/100 Bridging Media Converter Cost-Effective Stand-Alone Unit 10/100Mbps media converters with full switching capability. Designed to extend the reach of a 10/100 network and offer cost-effective conversion and integration solutions for half and full-duplex environments.